Attention Deficit Hyperactivity Disorder (ADHD) effects children AND adults, and is most often identified when a child begins school. 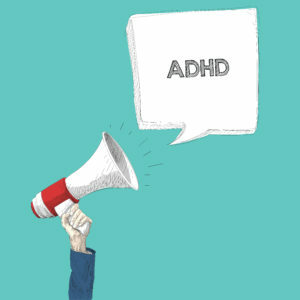 People with ADHD may have trouble paying attention (the Attention Deficit part of the disorder) and/or controlling their impulses (the hyperactivity part of the disorder). You may have heard, or even been previously diagnosed with ADD (Attention Deficit Disorder). This mental health issue and diagnosis was rolled into ADHD and no longer exists separately. 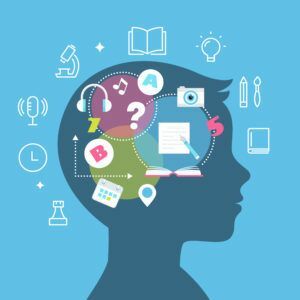 While there is no cure for ADHD, many find that therapy and/or coaching is incredibly helpful in learning strategies and techniques to better manage the symptoms. ADHD is caused by connectivity differences in the brain, which is mostly a result of genetics. ADHD is NOT caused by bad parenting, lack of discipline, too much video game playing, or not getting enough physical exercise. While the exact cause of ADHD is unknown, it is a treatable mental health condition that our trained coaches and counselors can accurately diagnose and support. Can adults have ADHD? I thought it was only something children have? Everyone and anyone can have moments where maintaining attention and focus is extremely difficult. When should you be concerned that your symptoms may be symptoms of ADHD? Adults with ADHD often find it difficult to manage their time and organize their workspace; something called detailed planning. This can lead to disliking your job and the people you work with. Many adults with ADHD struggle with social relationships. They find it difficult to focus during conversations, refrain from interrupting while others are speaking, and remember information told to them. What do you do to relax? How often? At home, adults with ADHD may feel overwhelmed trying to manage multiple schedules and activities for everyone in their household. They may have trouble relaxing or feeling settled at home.